Quadgrow keeps 4 plants perfectly watered for 2 weeks at a time. 2x bigger harvests than pots & grow bags. 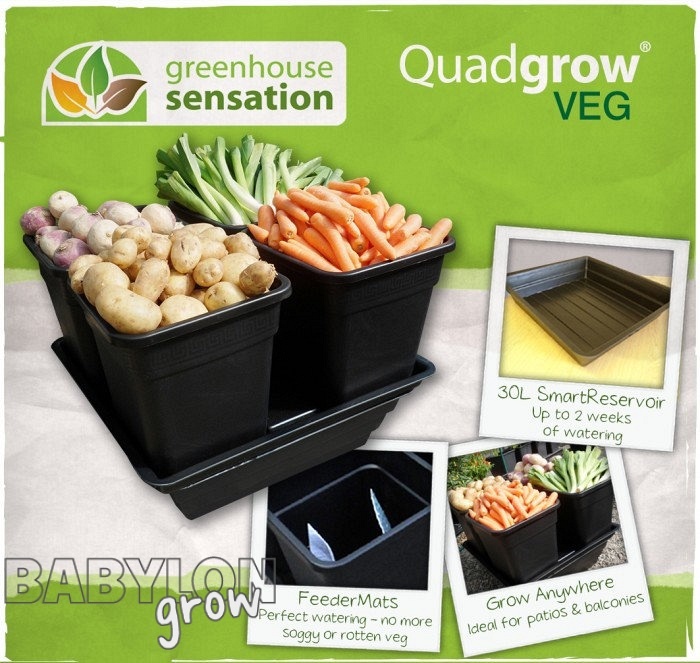 Perfect For Growing Tomatoes, aubergines, sweet peppers, beans, cucumbers, courgettes and peas. 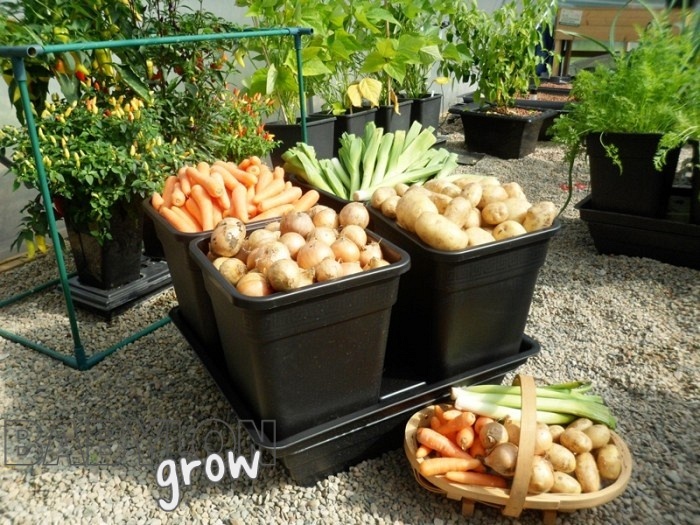 Harvests are 2x bigger when grown in a Quadgrow planter compared with growbags or pots. This is because the Quadgrow maintains perfect moisture levels for up to 14 days at a time. In a Quadgrow the soil is never too dry or waterlogged. The roots also have better access to oxygen which fuels faster growth. Each of the pots in the Quadgrow has a FeederMat which pulls water up from the SmartReservoir into the soil around the roots as and when the plant needs it. Growing an impressive crop has never been easier. Your plants will be stronger and healthier because there's no risk of any erratic watering which often causes root rot, split fruit and blossom end rot. 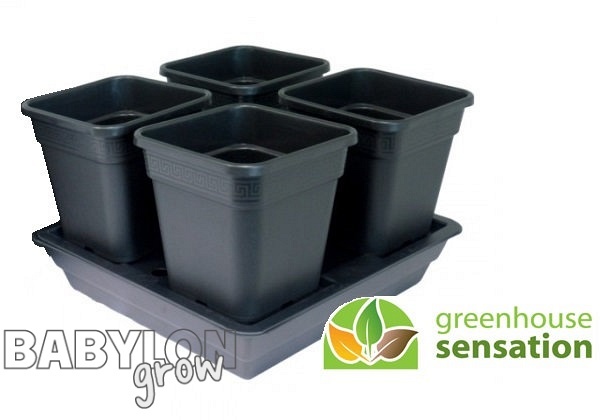 Ideal for growing in greenhouses, polytunnels and on patios. 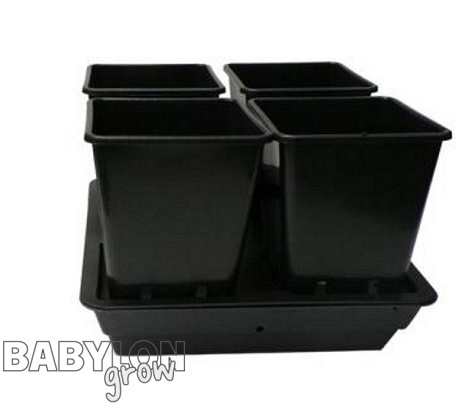 Our Quadgrow self-watering planter is a great alternative to growing vegetables in pots and growbags and is the perfect way to grow your own tomatoes. 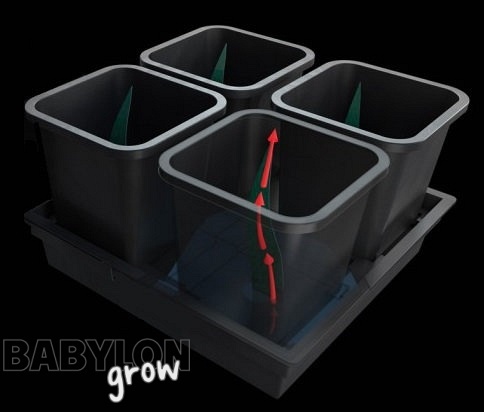 The Quadgrow planter produces healthier plants and bigger harvests by providing plants with constant access to water without ever over-watering.